Last weekend I caught Mashable announcing that Ebook Sales Surpass Hardcover in the U.S., something I’ve expected since I first bought a Rocket ebook reader about 10 years. And in January I saw that digital music overtook physical media for the first time in 2011, something I expected since 1998. In both cases what surprises me is not that it happened, but how long it took. And what interests me is who makes the money on timing these trends. I think I’m an innovator myself, but I know I’m not an opinion leader. I have the purchase history to prove it. 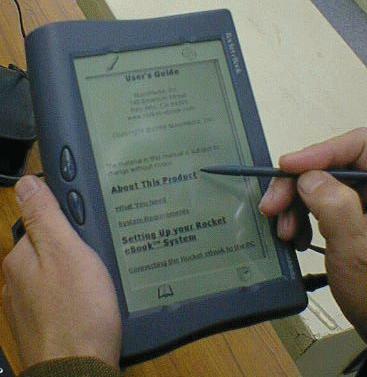 I bought the Rocket eBook Reader in 1999. I bought the Diamond Rio mp3 player in 1998. Both products were innovative leaders. Both were brought out well before the right time. Both were discontinued years ago. And, I think but can’t prove, both were business failures. God help the investor who has my sense of what’s coming for the future. It seems to take much longer than I ever imagined. I used to think you could use convenience and common sense to predict markets. One of my earliest excursions into market research was working for a research firm doing a 1979 forecast on ATMs. I said they were very convenient and would grow like weeds. Banking experts said people wouldn’t trust their money to machines and wanted personal attention inside the bank, with the tellers. Guess who was right with that one? But convenience alone doesn’t do it. There are other factors. Amazing fact: I bought a first-generation iPod for close to $400. It had eight gigabytes of storage. It connected via firewire, not USB. And it made Apple tons of money. Some say it changed Apple from failure to success. Investment and startups problem: we all want disruptive and game-changing businesses. We think it’s a matter of products, but history shows us it takes more than just products and technology to create the sweeping changes. Somewhere in the mix, timing matters a great deal and first isn’t often the most significant mover advantage. There’s also timing and trends, leadership, luck, and maybe even marketing. All of which brings me back to the question in the title: who makes the money on investing in future convenience? Great blog – failed new media is a proverb. The CD media was invented in the fifties. If they don’t need it now they’ll wait for it later when it’s free. Timing is everything.